Privateer Island: Giavotella called up to Royals, makes splash in season debut! Giavotella called up to Royals, makes splash in season debut! Former UNO second baseman Johnny Giavotella was recalled from Triple-A Omaha to rejoin the Kansas City Royals. Giavotella was hitting .289/.376/.425 for Omaha and had been on a tear for the past few weeks for the Storm Chasers. In his 2013 debut for the Royals, Giavotella went 3-for-4 with a pair of singles, a double, two RBI, and a run scored. He also made two sparkling defensive plays at second base. 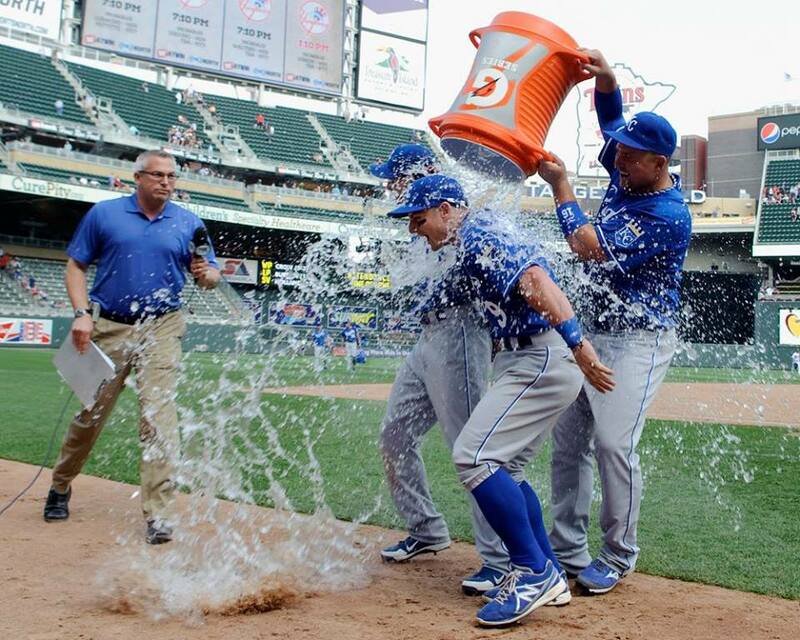 After the game, Gio and rookie David Lough were showered with water during a television interview.